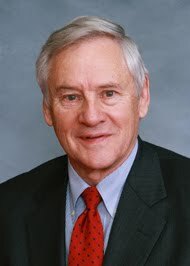 NC House "Democratic" Rep. James Crawford, one of the Five Goobers who voted for both the Republican budget plan and for the constitutional amendment to write discrimination against gays into our governing document, has been appointed by Republican Speaker of the House Thom Tillis to be the only "Democrat" among the five chief budget-writers in the NC House. If you're a "Democrat," nothing will get you rewarded in the Raleigh Clown College faster than always voting like a Republican. So, once again, you are against bipartisanship?